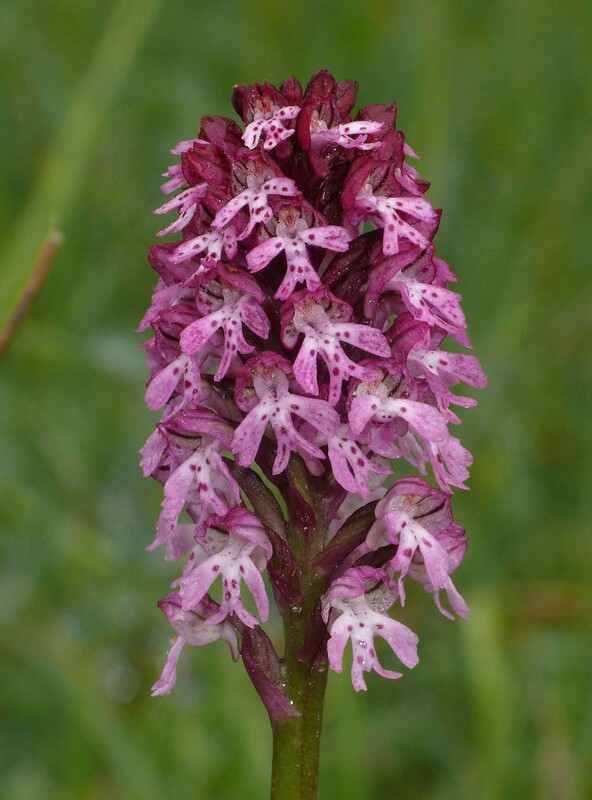 Both N. ustulata and N. tridentata together with the other members of the O.tridentata group have long been isolated within the Orchis genera and have always been the subject of debate as to there true generic home. 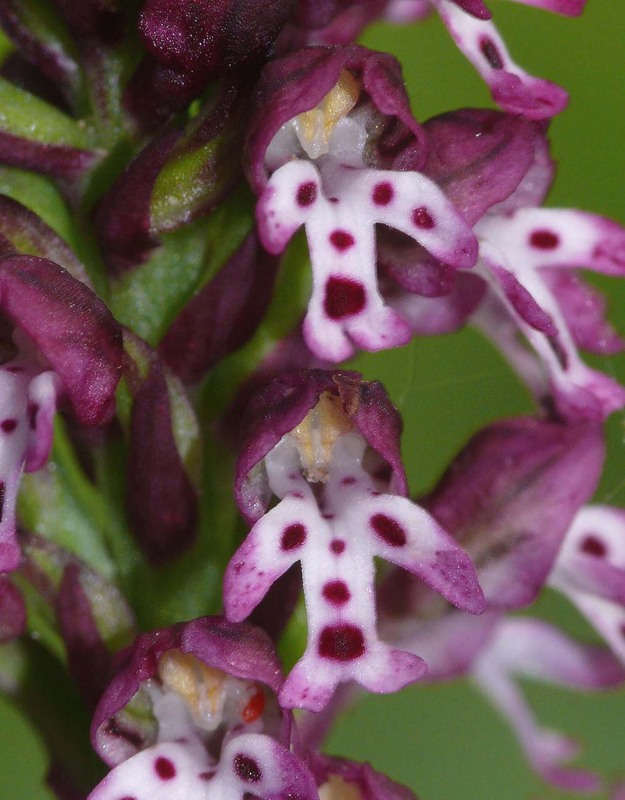 They started their formally described existence as Neotinea and were then reclassified into the Orchis genus where they remained for many years untill recent research indicated that both they and their fellow group members should more correctly be returned to the Neotinia stable. 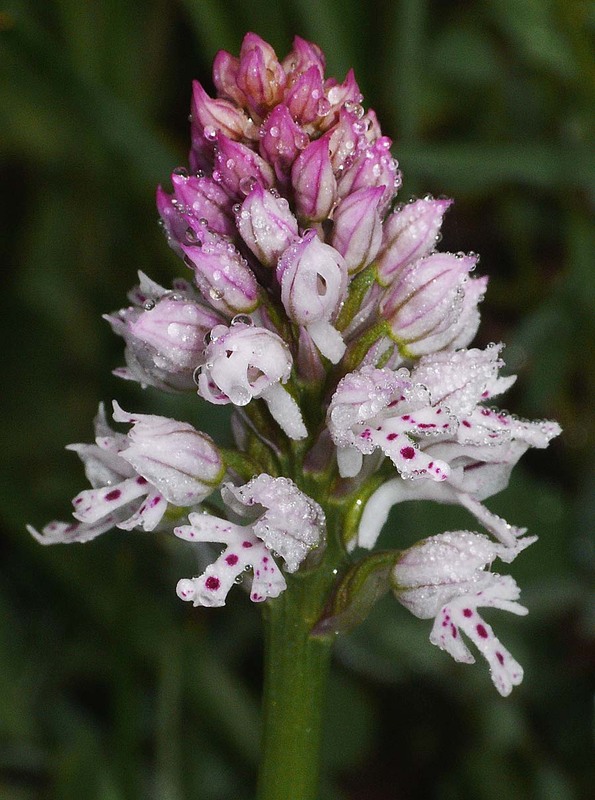 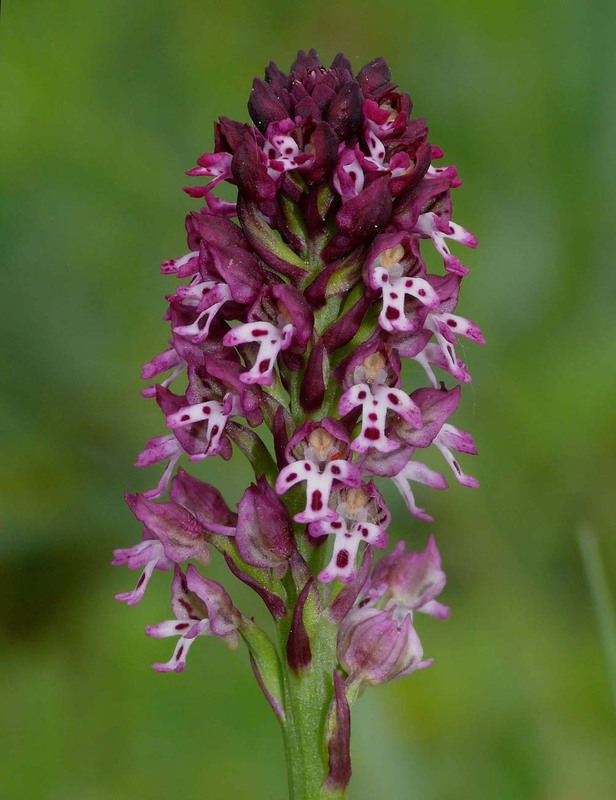 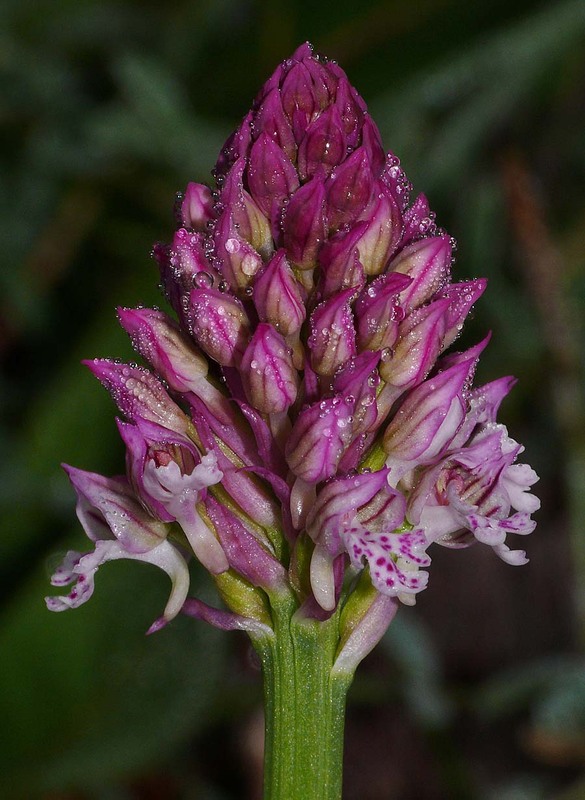 It was always a point of interest that despite often growing in its thousands with other Orchis species, ustulata was never found to have hybridized with any other than O. tridentata which as already mentioned is now known to be a close genetic cousin. 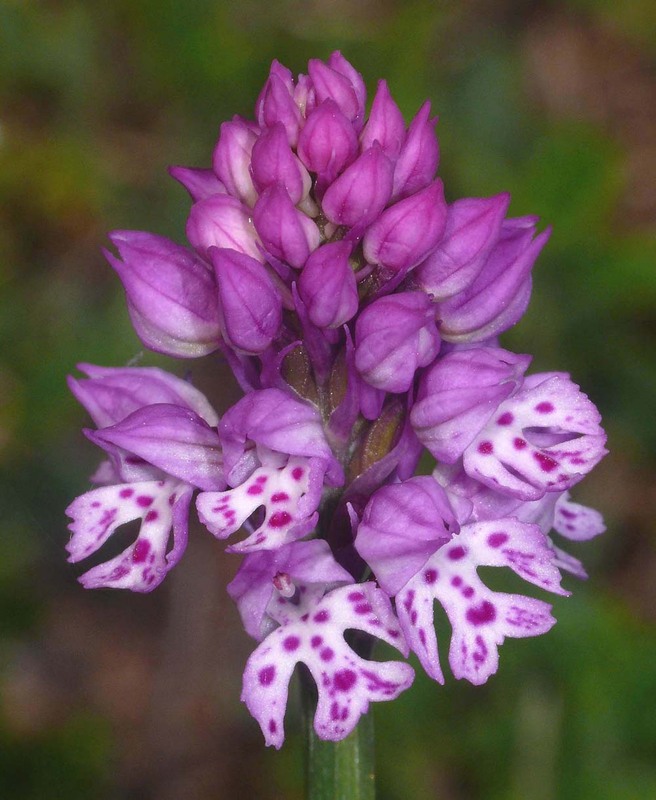 N. tridentata and N. ustulata have a widespread mutual range that take them from France and Germany in the north, down to the Mediterranean and across to Russia. 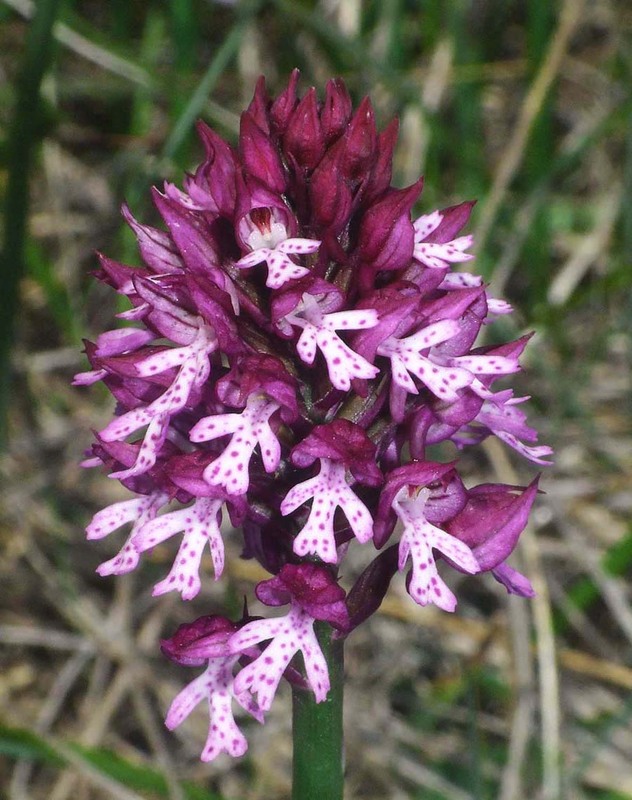 Hybridization between the two species seems generally at its most common in the vast orchid meadows of southern France and northern Italy. 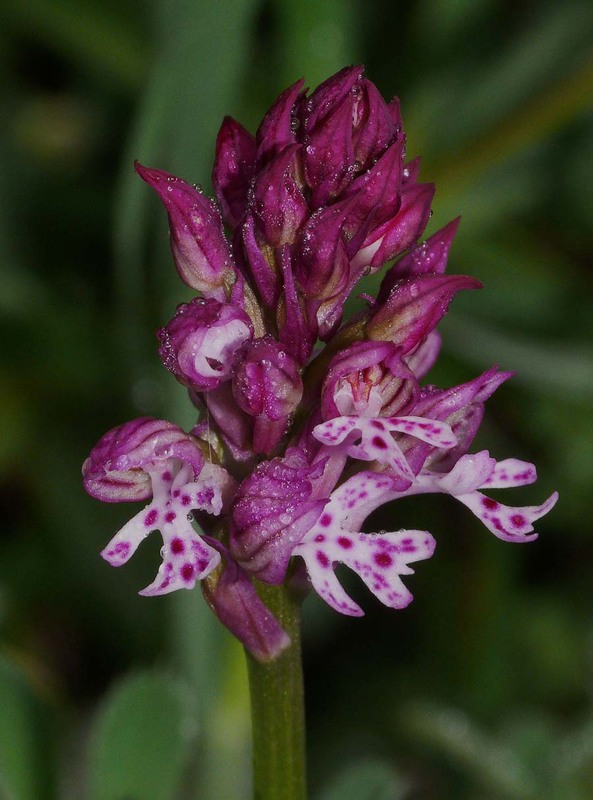 Given the attractiveness of their genetic contributers, the resultant hybrid is unsurprisingly a similarly pleasing little plant and one which most usually demonstrates a much closer resemblance to N. ustulata rather than N. tridentata. 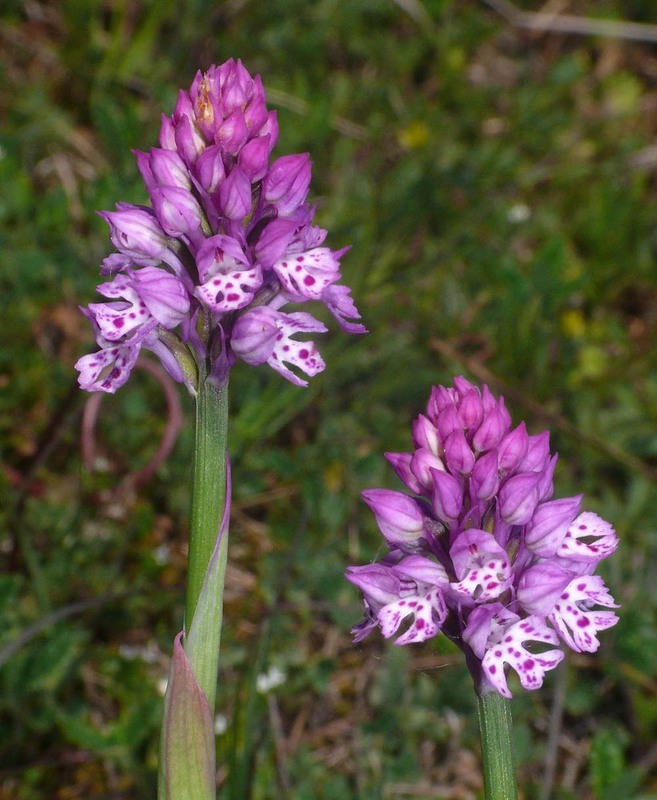 Like its parents it prefers a position in full sun on alkaline soils, usually short grass and low alpine pastures. 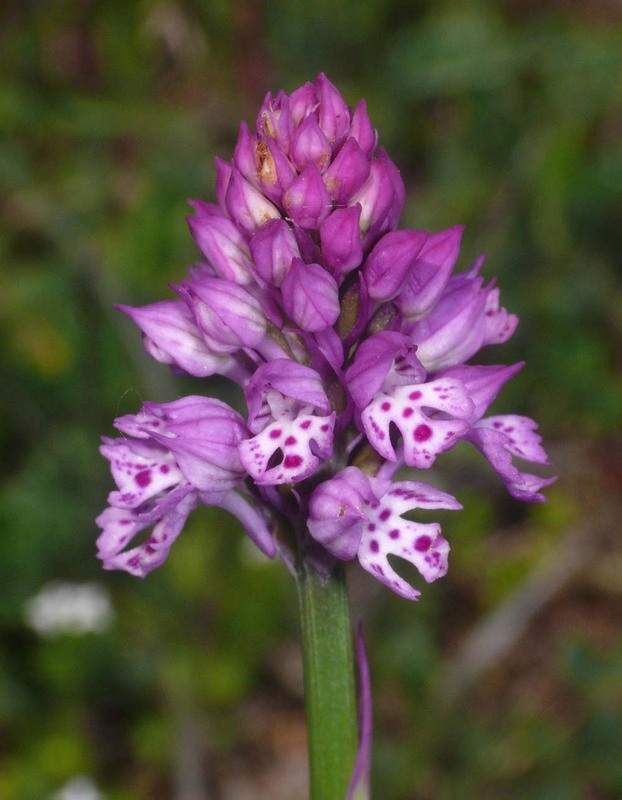 The illustrations come from the Vercors of southern France and northern Greece.